With winter in full swing, heating your home is top of most people’s minds… but it can come at a cost. With the bills getting higher during the cold winter months, we decided to look at five ways you can reduce your home heating bills, while still keeping you and your home warm and comfortable. It may sound simple but one of the best ways to save on home heating bills is to reduce your usage. When we step inside on a cold winter day it is easy to turn the heating up more than is necessary to try and get an instant return. It doesn’t necessarily work like that and, in addition, we often end up using more than we need. No two homes are the same and some people will feel the need for more warmth, but, as a guide, a thermostat doesn’t need to be set higher than 22C and can even be lower if you feel comfortable. The more you reduce the temperature, the cheaper your bills will be, so start at 22C then work down to find the optimal temperature for you. Similarly, you don’t need the heating on when you’re out of your home, so turn it down. If it’s really cold outside you don’t want to turn it off completely as there can be issues with frozen pipes, but a thermostat setting as low 16C is enough. Now, we know what you are thinking. If you leave your thermostat at 16C when you’re out, it might not be so nice when you return. This is where a smart thermostat comes in. Of course, with most thermostats you can program your heating to come at specific times of the day but a smart thermostat takes it a step further. 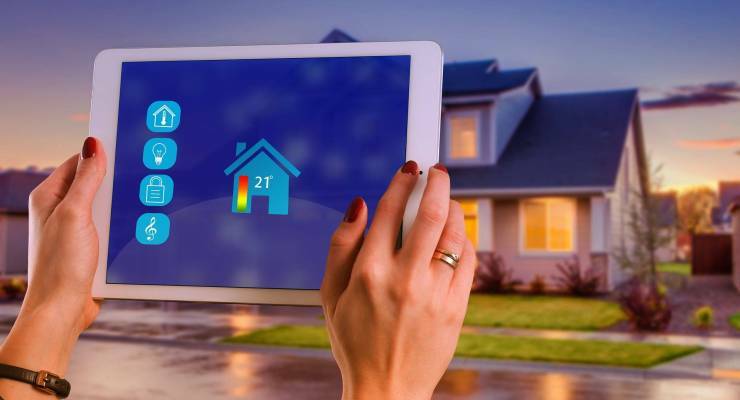 It can be controlled by your smartphone, it can be set to meet the requirements of different occupants of the homes, and it can learn the optimal time to begin heating your home before you get home. This last point is potentially the most important part because it means not a single second of heating is wasted. A smart thermostat has the same effect at night and in the mornings, optimizing your heating to the most efficient settings, while ensuring that your home is comfortable during the hours you are home and awake. Now that you have your drafts fixed, you also need to take care to let out too much heat by leaving doors and windows open too long. Remember: the more heat you lose, the more your heating system will have to work and the higher your home heating bills will be. It might be bone-chillingly cold outside but the sun still shines in the winter and you can use that to help heat your home. Windows facing to the south will receive most of the sun during the day and can generate a fair amount of heat. Take advantage of this by making sure you leave your curtains and blinds open on the south side of your home during the day time. This advice comes with a twist, however, because windows tend to be a major source of heat loss. That means, once the sun stops shining on them, in particular at night, you want to make sure that the curtains and blinds are closed to create a barrier against that heat loss. Your furnace won’t always operate at maximum efficiency but there are some simple steps that you can take to help. Firstly, make sure that you change filters regularly. The more clogged a filter gets, the harder your furnace has to work. Changing your filter every 2-3 months can reduce the work your furnace does and reduce your home heating bills. An even more effective step is to have yearly tune-ups by a qualified professional. They will make sure that the furnace is working exactly as it should and the preventative maintenance can also help extend the life of your furnace – saving you money in both the short and long term.